I am now officially registered, booked and reserved for my first E3 ever, to start in just under a month. I will arrive in LA early on Monday morning, probably too early considering what the rest of the week is going to entail. I don’t know yet what I’m doing on Monday, I’m sure it involves set-up, planning and rehearsal. As many people know, Sony’s press briefing has been scheduled for Monday afternoon. I’m sure many of us will expectantly wait to see what announcements should must be made: price, further timing on the worldwide launch, HDD-inclusion, controller design, online features, etc. It is definitely going to be one heck of an evening afterwards. Tuesday morning is Nintendo’s briefing, to be held at the famed Kodak Theater, where we can expect a lot more news about the Virtual Console, their big franchises and whatever creatively disruptive things they have cooking up Iwata-san and Miyamoto-san’s sleeves. As soon as the Nintendo briefing is over, most everyone will be headed over to the Chinese Theater, which is just a stone’s throw away, for the Microsoft briefing. It took me a while to realize that this was THE Chinese Theater we see and hear about when some movies premiere in Los Angeles. Wow. I’m really not as free to speculate about what the Microsoft announcements will be (since I already pretty much know them) as I can about Sony and Nintendo, but I’m sure it will be all that everyone seems to expect and more. Wednesday the show starts and so will the absolutely chaotic mayhem, judging from some show floor pictures of E3 2005 and being told that the floor is pretty much constantly like that throughout the show. Commit me if you have to, but I think this is going to be a great time for a guy like me. I don’t remember what my schedule and responsibilities are for each day, obviously I will be busier than I will probably ever be in my life. There will be a couple of “parties” that I will attend (or at least try to) from the looks of it. I say “parties” because they aren’t really the type of party where you just go to have fun and let off steam. In one way or another they will be related to networking, getting to know other folks in various parts of the industry, getting to meet people I talk to often face to face and generally networking. I mean, it will be fun, but again, not entirely super party time. I also hope that I can find enough time to walk the floor and adequately check everything out. Partly out of curiosity of course, but I’m really interested in being able to see what’s coming down the pipe for publishers across all platforms, including PC. It will be like being a kid in a candy store. Depending on the level of announcements, it will be interesting to see how far Sony and Nintendo are coming along on their first party titles — in the case of the latter company, there hasn’t been much being said or shown. I can’t even begin to think about what from multi-platform and 360 exclusive publishers I want to see. A lot of it is stuff Microsoft Game Studios is publishing anyway — the Japanese titles. The one thing I do know for certain, is that whatever I see, I know I’ll see enough that it’s going to mortally injure my pocketbook this year. And I can’t wait! I downloaded the demo of Tiger Woods PGA Tour 06 off of Xbox Live Marketplace last night just to try it out. I haven’t played a “realistic” golf game since Links 386 in the mid 1990s. I’ve had a lot of fun playing Hot Shots Golf: Open Tee on the PSP, but the obvious appeal is the arcade feel and format. I thought the game was pretty good, I mean, some ten years later, you would hope the golf games would improve! The water looks absolutely amazing and I should know, as on the TPC at Sawgrass hole, I exceeded my shot limit with every single ball going straight into the drink. Here I am, not into golf games and I’ve got my arms raised in the air in excitement over this one round in a demo. I couldn’t top that last night, so that was the last thing I did. 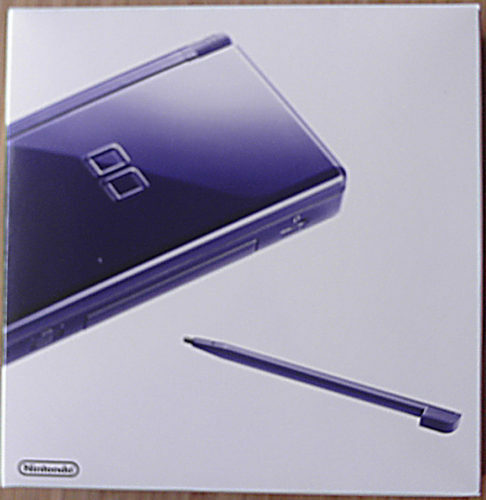 As if I hadn’t mentioned it a million times over, I got a Nintendo DS Lite for my birthday. In Enamel Navy. It’s very nice, I do like the color even though I had originally wanted Ice Blue. 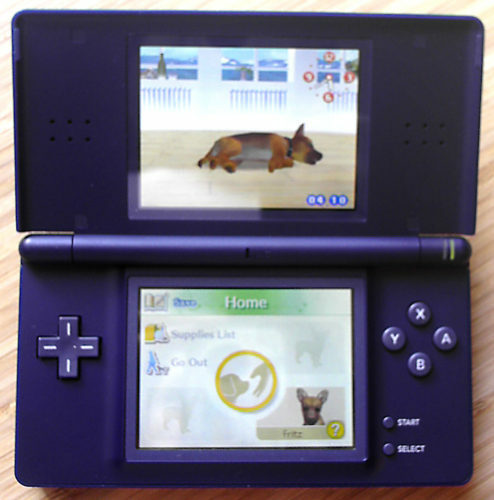 I have no games except for Nintendogs, which hasn’t been turned on in over six months. This was a pretty nice surprise, pretty unexpected really, especially since I already have a handheld (PSP) which I hardly use anyway because I don’t do too many things that give me the opportunity to concentrate for any length of time on a game. 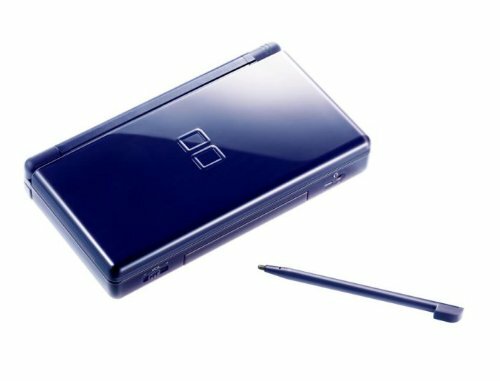 I like it so far, the size, everything is far better than the “normal” Nintendo DS, which almost feels more like a children’s toy than this in some respects. I guess that’s part of the point of the redesign beyond the improvements. Regardless, it was a nice present and I look forward to getting the couple games on my “to purchase” list I made in February sometime in the next couple of months. I need a second job with all these quality games coming out right now. I also want to go by one of those download stations and see what Brain Age is all about. April bodes to be a good month, even though not as packed with releases as March. I guess that will make it a bit easier on the pocketbook. Apr 06, 2006   14:10:00   US  ONTARIO   REGISTERED WITH CLEARING AGENCY. 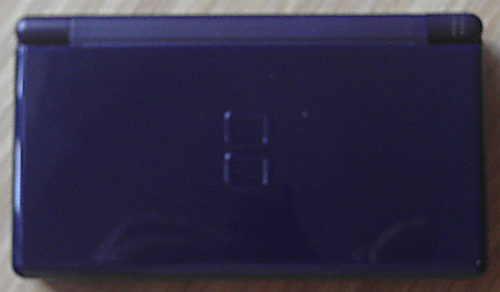 Which was a Nintendo DS Lite in Enamel Navy. 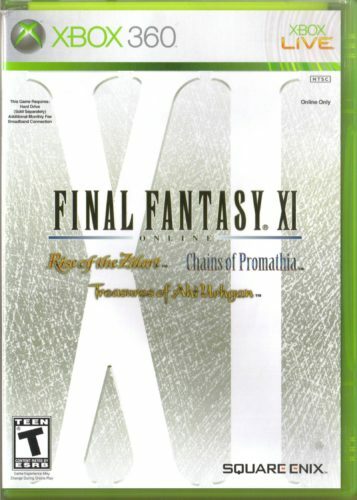 I’m also looking forward to the April 18 release of Final Fantasy XI on the Xbox 360. I’ve kind of fallen off the FFXI wagon since about January when I had worked up a backlog of Xbox 360 games to plow through. 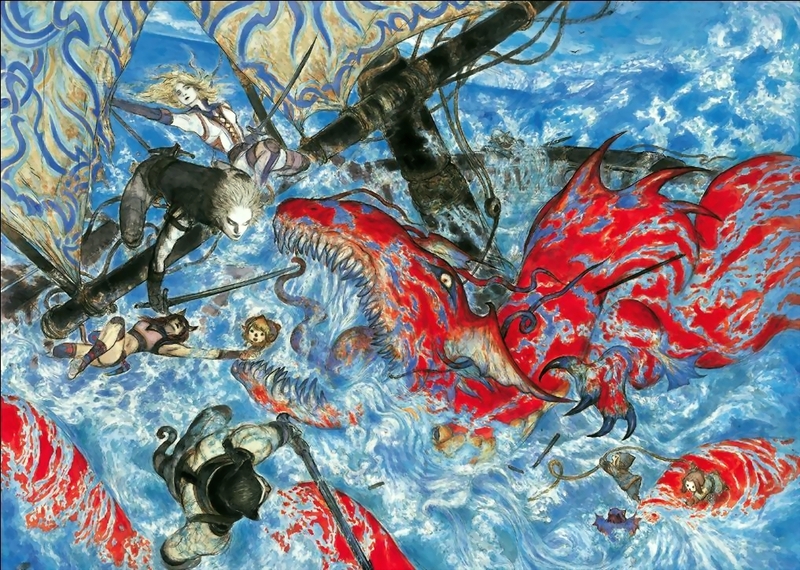 Of course having experienced FFXI in HD through the Xbox 360 beta also spoiled me a bit and made it difficult to settle for the lower resolution from the PS2 version I play on. I played the beta a little bit, but I got pretty tired of having to start over when I knew I didn’t have to. It was nicer to just run around and go exploring with the better quality graphics. It’s just a little over a week away at this point however. I can’t wait to jump back in. I will, however, lament the loss of being able to use my Logitech Netplay controller to control and type with ease. I’m going to look into seeing if I can get a wireless keyboard going though, so I can play with comfort. This weekend (March 31 – April 2) is going to be the first Free Xbox Live Gold Weekend that will take place since the Xbox 360 has launched. I hope, and I’m sure, a lot of people will try this out on the current crop of Xbox 360 games. I really didn’t maximize my use of Live when I had an Xbox. It really was for Halo 2 and nothing else. Most of the time it was because I didn’t play the game far enough to say I wanted to go online, like with Top Spin. I wasn’t going to go online unless I had completed the character I created. Now I’m definitely playing it a lot more, and you can bet that when I pick up Top Spin 2, I’ll be hitting the online courts as quickly as I can. The Xbox Live team is also launching a new little program with this first Free Xbox Live Gold Weekend, the Xbox Ambassadors. This is a (rather sizable) group of people hand selected to be nice, helpful people on Xbox Live for those folks who might be enjoying their first foray into Live and online multiplayer gaming. I was glad to make that group of gamertags selected to be Ambassadors for this weekend, so I could maybe get new people onto my friends list to play games with in the future. So, keep a lookout for me (and the rest of the Ambassadors) this weekend and invite us to your friends list for a game or two.